Millicent is a writer and researcher for Emerj, with a career background in traditional journalism and academic research. The military has always been at the forefront of advanced technology. Some of the most important applications we use every day, such as the Internet, were developed by or for military use. That said, the military is adopting predictive analytics at what seems to be a slower pace than industry, although there are likely applications for the technology that they choose not to publicize. Shorn of its glamor, predictive analytics is something people and businesses do every day. For example, if a shopkeeper decides to order a larger than usual quantity of a certain product because it has been flying off the shelves in the previous two weeks, this is an exercise in predictive analytics. By definition, predictive analytics is forecasting future events based on what happened in the past. It does not necessarily require artificial intelligence or machine learning. In its simplest form, it just needs a little common sense. If clouds are darkening the sky and there is a brisk wind, most people can probably predict rain, or even a storm, depending on the intensity of the signs. However, things have a way of getting complicated, and it is not always easy to identify key information and patterns that will help in making accurate predictions, and thus decisions. Machine learning algorithms are useful when it becomes necessary to employ more sophisticated and comprehensive techniques and statistical models to tease these out of the available data. This has been true for businesses for some time and for the military in the last decade or so. The problem is the amount of raw data coming in. According to an article in the New York Times, the biggest problem facing the US military today is information overload. Going through it in an effective manner and not missing important data is much harder than it sounds for human operators, no matter how dedicated and skilled. The commercial sector has not been remiss in developing machine learning algorithms for predictive analytics. 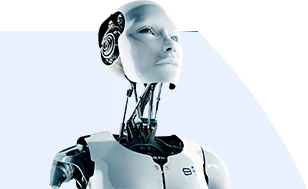 Among the top industries making good use of this aspect of artificial intelligence include heavy industry, transportation, consumer goods, finance, and healthcare. The military does not have to start from scratch, but in most cases simply adapt existing models for their own use. It should be noted, however, that the military use of artificial intelligence, and predictive analytics in particular, has been hindered by public opinion. One attempt to integrate artificial intelligence in the military, Project Maven, has met with some unexpected resistance. The project used commercially available AI software from Google, and it excited some widespread controversy. About 3,000 Google employees protested the use of its proprietary platform for potentially destructive military use. As a result, the military has had to tread carefully in its use of big data, especially when it comes to deployment. Despite this, the Pentagon is forging ahead in developing AI software to help with intelligence gathering and data analytics. The military needs the help of private AI experts, however, as their way of handling big data is considerably behind that of the commercial sector. The military uses a wide range of vehicles for its operations, whether in combat or not, and operations depend largely on these vehicles running and functioning as expected. This is not as easy as it sounds, as regularly scheduled maintenance may not be enough to keep them in good form during active operation. Military vehicles go through some heavy use, so parts can fail unexpectedly. Predictive analytics could help the military minimize vehicle malfunction and failure during operations. This is known as predictive maintenance. Data collection may vary from vehicle to vehicle, ranging from bespoke sensors to telltale signs given off by the vehicles that largely go unnoticed. The latter is the case for a trial run of predictive analytics software from Uptake Technologies for several Bradley M2A3 combat vehicles. The Bradley M2 is a heavily armored transport vehicle made by BAE Systems. The goal is to predict failure of the vehicle and/or of its parts by monitoring and analyzing the data collected from existing sensors and telematics i.e. GPS, during operation. There would in theory be no need to install new sensors to detect and collect the data. Uptake justifies this approach by referring to its past success in doing the same thing with manufacturing and industrial equipment. Among its successes are Berkshire Hathaway Energy, Caterpillar and Boeing. The trial run for the Bradleys is for 14 months, after which the Army will evaluate the effectiveness of the software. If the trial is successful, Uptake will most likely get a bigger contract to use its software for more vehicles. Success would also have a significant impact on the costs and processes in military vehicle maintenance as well as equipment availability and combat readiness over all branches of the Armed Forces. A similar situation is also happening out at sea. The Military Sealift Command of the US Navy contracted AI software company Abeyon to help keep their ships in top condition using existing resources. The MSC is in charge of replenishing Navy ships as well as special missions to transport military supplies and cargo. It currently has 125 ships manned by civilians. MSC had 30 years worth of data in text documents. To bring cohesion to the data, Abeyon built a custom text analysis tool, Clarifi. The initial goal for the machine learning-based tool is to find patterns in the data sets. Eventually, this will help with making better maintenance decisions. Clarifi is still in the early stages of learning, but it has the potential to use the data to do much more. It might be able to eventually provide MSC personnel with a tool that can predict accurately when a part or system will require repair or replacement before it becomes a problem. Another key factor in combat readiness is, of course, the soldier. For a soldier to be ready for combat, intensive training is required, and the Army is adept at providing that. However, while basic training continues to be more or less the same as it has been since the 1980s, this is no longer true for advanced training. The Army has been using virtual reality technology since 2012. This time around, the Army is looking to use predictive analytics and machine learning algorithms to assess how these soldiers react in a near-reality virtual environment, such as a city in North Korea, for example. The roles of artificial intelligence and machine learning algorithms are manifold. The Close Combat Lethality Task Force is augmenting soldier training using virtual reality in a synthetic training environment. This may help soldiers train using different types of weapons under challenging conditions as well as fight against various enemies. Soldiers can train singly or in groups and in different battle spaces. At the same time, this augmented environment allows trainers to use biometric sensors to gather data about the soldiers as they go through the training. This includes cognitive and emotional responses under stress, as well as other physical signals. Predictive analytics can use this data to provide trainers and trainees with immediate feedback on the success of the training and the level of combat readiness of the soldier. Maj. Gen. Maria Gervais stated, “Being able to take the data from your training to be analyzed for trend analysis and predictive analysis is going to be a game changer.” She is the director of the Synthetic Training Environment (STE) team, and closely involved with the AI industry partners in developing the capabilities of these systems. Currently, the systems are in the testing phase, but the Army wants them to do more than pass or fail soldiers in training. Eventually, these systems could have enough data to find trends, assess training exercises, and make recommendations to increase the efficacy of these training programs. Overall physical and psychological health is an important factor that the Armed Forces have to address. Predictive analytics can help by detecting trends and anomalies in military patient records that signal incipient health problems. However, the military as a whole have two big problems: access to a cohesive medical record database and the difficulty of assessing and predicting outcomes for psychological disorders. Everything needs to be digitized, and when the process is digitalized, then you have new data. You have a lot more data coming in and then you can try to optimize it and try and dig out new value out of your data. The lack of coordination and cohesion in the various branches of the Armed Forces currently preclude an overall health management system for military personnel. Nevertheless, some efforts are underway to use predictive analytics to address some health issues on and off the battlefield. The tool we are building will analyze large electronic health care trauma databases…identify general gaps or deficiencies in clinician knowledge…The system could become a point-of-care decision-making tool based on identifying patterns that show what care has the best statistical outcomes. These initiatives for integrating predictive analytics in military health management could be a step in the right direction. However, they are still in the early stages of development and not yet ready for active deployment. The Tiatros Post Traumatic Growth for Veterans program has seen some real progress. This incorporates predictive analytics using IBM’s Watson Personality Insights and Tone Analyzer APIs to analyze and detect emotions and communication styles in text, and thus predict the approach that will work best for each individual. The program delivers treatment to veterans suffering from Post Traumatic Stress Disorder (PTSD). According to the National Center for PTSD, the disorder affects between 11-30% of veterans in the US, depending on the service area. Veterans of the Vietnam War were the hardest hit. PTSD is a treatable disorder, but historically, less than 10% of veterans complete the traditional psychotherapy program. With the AI-enabled program, however, the completion rate jumped to 73%. The program required the PTSD sufferers to submit three written narratives, which the AI-enabled APIs analyzed to provide treatment providers with insights into the patient. This enabled better connection between the therapist and the patient. The insurance industry is making use of various artificial intelligence applications to solve business problems, but perhaps the most versatile is predictive analytics. The ability to aggregate data from disparate sources for business intelligence allows business leaders in insurance to inform important decisions across departments. In this article, we’ll take a look at several military drones and UAVs with AI capabilities. There are a variety of use cases for AI when it comes to drone technology. The military seems to commonly apply AI for allowing its drones to fly on their own, which requires machine vision. The healthcare domain seems ripe for disruption by way of artificial intelligence in the form of predictive analytics. Accenture estimates the AI in healthcare market will reach $6.6 billion by 2021. Lockheed Martin offers numerous artificial intelligence solutions to the US military. The company claims to help military operators effectively complete both routine and critical missions with less risk of endangering the lives of military operators. In 2017, Lockheed Martin reported $51 billion in revenue, $35.2 billion reported from contracts with the US Government. 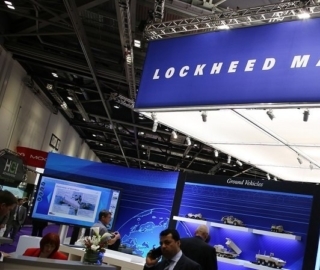 This makes Lockheed Martin the largest contractor for the US military and the largest defense contractor in the world.